WHERE THE HECK CAN I FIND…??? Quite often, people ask me where they can find my books – so often, in fact that I’ve decided to write a quick blog post listing the various sites that carry my books and what types of eFiles can be found where. 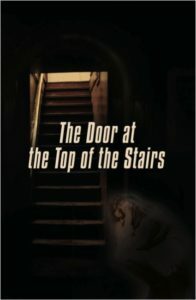 My first book, a psychological thriller entitled The Door at the Top of the Stairs, is available in many places and in many formats. Pretty much, you can read it however you want it.